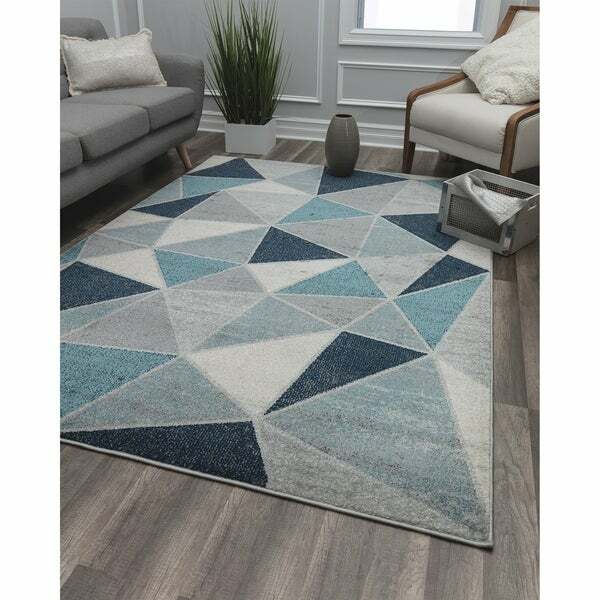 This exceptional polypropylene rug evokes the look of a mod gemstone for your floor. Awash in cool hues like grey and blue, this power-loomed home décor piece is a contemporary masterpiece that boasts strength and a soft touch. Constructed with a half-inch, shiny pile, it's geometric motif will give your space an update that's sure to prove your on-trend design prowess. Matches colors of furniture and size I wanted was available. It brings fun-ky into our decor.